Designed by Meredith Boldt of Indianapolis. 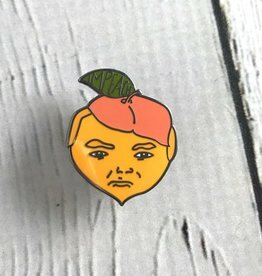 Enamel “peach” pin with the word “Impeach” inside leaf. Approximately 1” x 1”.